An article on frequent flyer programs is admittedly a bit of a First World Problems discussion, so I promise I'll try not to sound like Richard Quest from CNN, who is possibly the world's most annoying business travel journalist. I am naming and shaming Lufthansa here for their pretty crummy Lufthansa frequent flyer program, which they laughably brand as “Miles and More”. More of what? More overpriced luggage and smartwatches in their magazine which they send you, where if you trade in a few thousand frequent flyer miles you might be able to buy stuff slightly cheaper than on Amazon? More pilots’ strikes to disrupt your travel itinerary? “Miles and Less” is a much more accurate description of their offerings. Let's face it, if you live in Germany and use Frankfurt or Munich as your home airport, most of the time you have little choice other than to fly Lufthansa, so trying to avoid them altogether and fly SkyTeam or OneWorld is a bit of a non-starter. This won’t get you very far unless you’re happy to change planes in Amsterdam, Paris or London. Granted, this could be an option from some of the smaller regional German airports but not the major hubs. A business contact of mine from my day job is a Board Director of a major German industrial spare parts distributor. What he told me over lunch one day summed up perfectly why the Lufthansa frequent flyer program “Miles and More” is such a dreadful product. He flies within Europe about 2-3 times per month in economy. Let’s face it, only someone extremely rich or stupid would fly business for a point-to-point short-haul flight. That's a lot of security checks and general airport hassle. What bugged him the most is that he is what most airlines would consider a frequent customer but because he doesn't fly intercontinental, he struggles even to maintain Silver status with Lufthansa. And this is a chap who takes around 30 flights per year! With the miles he travels, as I will show you, this would mean Gold status with pretty much all of Lufthansa’s Star Alliance partners. My recommendation therefore is to join another Star Alliance rewards club than the Lufthansa frequent flyer program. Star Alliance’s Terms & Conditions state that you can sign up for as many partner airline programs as you wish, but the miles are not transferrable from one to the other. So, if you’ve accumulated miles on Lufthansa Miles and More and you then sign up for United’s MileagePlus, the miles you earned on Lufthansa cannot be transferred over. Although that said, you can still redeem your Lufthansa miles through Miles and More if you have enough of them banked. In making this a fair test, I have assumed in each case that the participant is resident in Germany because some airlines tailor their offers based on the level of competition for members in their country of residence. For Americans, I would strongly recommend you sign up in the States if you still have a valid address which you can use for correspondence. The U.S. is an especially competitive market for credit cards linked to airlines' frequent flyer schemes, which can offer up to 100,000 miles as a joining bonus. That is a pretty meaty head-start over what us deal-starved Europeans get as offers by comparison! 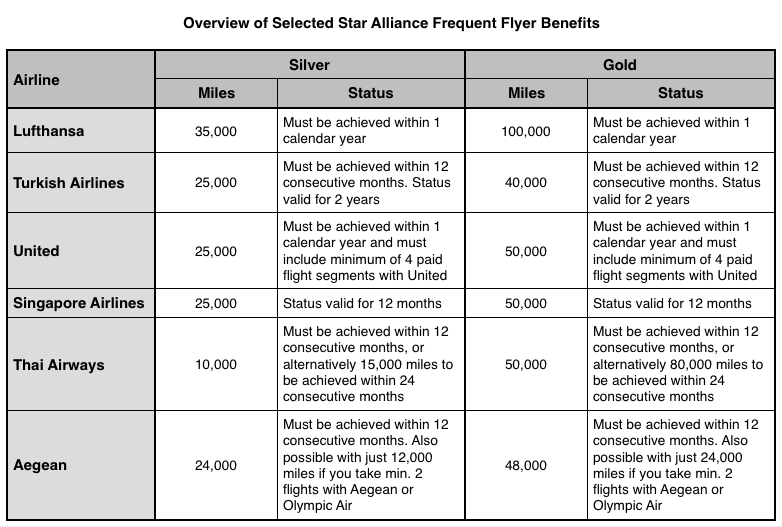 To show visually why the Lufthansa frequent flyer program offers such a bad deal, here is a brief summary of what their Star Alliance partner airlines offer as frequent flyer status levels. Granted it doesn't take everything into account but it gives us a very good starting point. Check the small print on each airline’s website if you really want to know what the complete package involves. The links below will take you there. So, that's the miles and status thresholds covered, where Lufthansa clearly gets a “must try harder” in their school report. Now, let's dig a bit deeper. At least I can use my miles for a free flight, you say…. Well, yes you can, but this is where Miles and More really starts to feel like a scam. You see, the number of miles they state as the threshold to bag a free flight EXCLUDES taxes and surcharges. For most short haul flights, the taxes and surcharges cost MORE than the actual flight itself with the way Lufthansa calculates its pricing. As a rough calculation, you should reckon on around €100 in surcharges for a short-haul European flight. Bearing in mind you can fly Ryanair to most places in Europe for less than this, it suddenly doesn't sound like such a great deal, does it? I'll suffer Michael O'Leary's yellow plastic and being hawked scratchcards on my flight if means slumming it for 2 hours for less than a hundred Euro. Want to fly intercontinental? The additional taxes and charges often add up to over €300 for a return trip to North America. Don't even think about trading your miles in, unless you're flying in high season where the cost of the flight in relation to Lufti's hefty surcharges is at something like a 4:1 ratio. Then it might, just might, make sense. 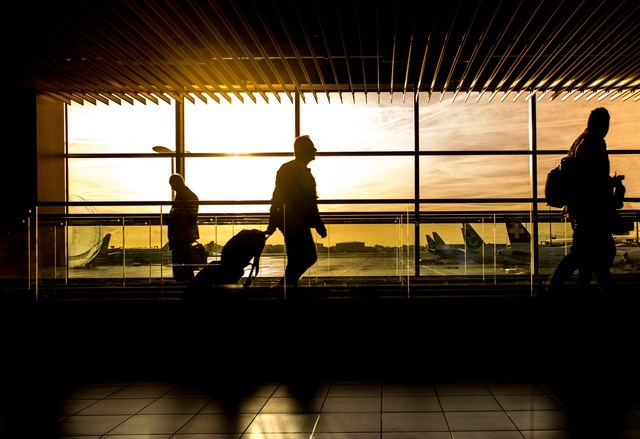 Star Alliance member airlines all apply a uniform miles redemption policy across all their routes, so if you are a member of another program then you can redeem your miles on any partner flight. The number of miles you need are the same, although some of the airlines offer special deals for their domestic market e.g. flights within Turkey on Turkish Airlines. What differs are the taxes and fees which each airline applies to flights offered for “free” with frequent flyer miles redemption. 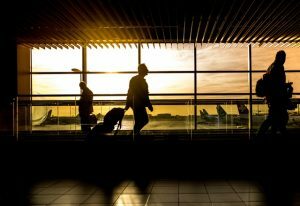 This is complex and way beyond the scope of this article, however, what I would say is use the normal “buyer beware” logic before redeeming your miles for free flights. 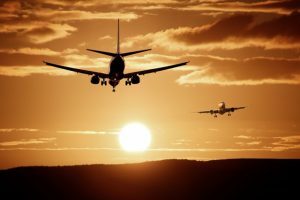 It may be better to use them on other partner products such as rental cars and hotels, to avoid being ripped off on taxes and fuel surcharges from the one or other airline. I have ditched my Miles and More membership and signed up for Turkish Airlines’ Miles and Smiles program. There are also good arguments to sign up with Thai or Aegean, or United if you’re a frequent flyer to and from the States. You pay your money, you take your choice. There are many good alternatives out there, depending on what you want to get out of your frequent flyer membership. One thing is certain though: No matter which way you evaluate it, Lufthansa’s Miles and More is far and away the worst deal among the Star Alliance airlines’ frequent flyer offerings. I strongly recommend you give it the “nein, danke” treatment. I am not an affiliate for any airline frequent flyer program and the views in this article are my own based on the information shown on the airlines’ websites, which is correct on the date of the article’s publication. No liability is accepted by the author for any of the tips given in this article. Couldn’t agree more. without 4 or 5 long haul flights a year in Business class, it is very difficult to get the Gold Card, no matter how many short hauls you fly. I am at 80,000 for yet another year. And remember that it is only Status Miles that count, so forget the points from rentals, hotels etc. The so-called free flights are often not direct, particularly in peak times, and I guess that this raises the taxes and charges as well. Lounge privileges for Silver have been squeezed year by year (Luxembourg just dropped off the list as directed by LH), and I think only Vienna and German business lounges can now be accessed by silver holders. All in all very disappointing, Lufthansa. Having 80000, why don’t you just do a mileage run for the remaining 20000? With a bit of planning you should be able to get it at <5 cpm (WAW-SIN or LHR-GRU are good candidates). Another option is buying a priority pass to get access to lounges in other countries. I have seen Silver card holders get into the Lounge in VLC, and you can certainly get into the A and E business lounges in ZRH, along with ATH, BOS, BRU, DEL, DXB, GVA, LCY, JFK, CDG, WAW. The BIZ and SEN lounges in Europe are completely full most of the times in many destinations, so either they build more lounges or stop allowing more and more people to get in; not just Miles and More members. Hi David, it’s certainly my experience that you only get access to lounges outside of Germany with Gold status. I think as you stated Vienna is an exception, possibly Zürich too, given that Swiss are 100% owned by Lufthansa. Brussels and Warshaw, too, are accesible with Silver M&M cards. YES! It is very true. I accumulated more than 200000 miles with Lufthansa and was never able to trade in anything for them. My status miles are are turned back to zero each year. It is time to look for another miles programme. I have registered now with Turkish Airlines. United may also be worth a look Ernest if you do a lot of transatlantic flights? Just a thought. If you’re mainly EU and Middle East though then Turkish is definitely the best way to go! While I understand and partially share your sentiment, the thing is that your understanding of what constitutes frequent flying is probably not quite accurate. 30 flights per year is nothing, most of my employees get this. Through work, I (neither rich or particularly stupid) fly roughly 140 short-haul legs with Star Alliance each year, 90% P, C, D or I class. This comfortably gives me the Gold status normally around October each year. Together with a couple of J and F class long-haul legs, in some years I even get HON. It might surprise people, but these numbers are nowhere top of the frequent flyer list. There are people that fly over 400 short-haul full-fare D class legs per year with Star Alliance partners, and hundreds of people flying full-fare J class long-haul every week. Your friend flying 24-36 legs in Eco (even W class) would not get to the minimum required 40000 status miles required for Gold with Turkish Airlines. Alternatively, if you want to spend less money, besides signing on with other airline, one can always buy a priority pass. Then again, is it really worthwhile for only 20-30 legs per year? While I understand, that high-end frequent flyers fly much more than 30-60 times a year, it is still by no means “infrequent” to fly 40 times a year. This means vacations and some exceptions aside you have a round trip every second week. Trust me you definitely feel not having access to lounge while waiting your late flight home. In my eyes 40-50 flights with any star alliance carrier should give you gold. If you fly upwards 140 flights, and some of it in business, then for me it seems only fair you get HON. Besides if your flight routine mostly includes Business class flights, then you get lounge access anyway, so I don’t think it should be argument that to get Gold you have to fly business, because lounge access is the main benefit of Gold. Flying economy gives me sometimes as low as 130 miles per flight – if it is SAS flight for example. The best I have is around 500 miles. Even when I have 4 legs per week and assuming I will fly 50 weeks and skip only 2 weeks which is unrealistic, because one of following will happen: I will take a different airline some weeks, or skip due to sickness/vacation, or project will drop travel, or a different project will come which will require different flight’s with different airline. But assuming average of 300 miles per flight, even 200 flights would give me 60 000 miles, which is only 60% of requirement for Gold. That really tells me I should not volunteer for more travel, more connections because that target is not reachable without long haul flights or business class travel. Eh? Where does it say I fly every 3 days in business?? Have like 50000 miles and less, can get anywhere in summer. what a wrong decision I made. 400 flights in a year? That means flying every single day and on some days more than on flight. Really? I totally agree that Lufthansa has the worst frequent flyer program in the known Universe. I tried to enroll for nearly one month before flying round-trip to west Africa and was told the system was down. I went on on my trip with Lufthansa and for the past 3 weeks I have been trying to enroll and get credit as the Lufthansa agents told me with no luck. I will forever discourage anyone I knew from flying Lufthansa. Thank you for this useful guidelines about the Lufthansa Frequent Flyer program. I am a member for years and I confirm your statement. It used to be different and they were giving away 750 miles per segement when I started. But I think they are completly satured by the number of members. But it’s not areason to penalize their members with building up a system that prevent you to become Gold and make you feel ashamed abroad when you can not access any StarAlliance lounge. With more than 50/60 flights in Economy or Economy Premium I am not able to reach more than Silver even with many Transatlantic flights. Don’t expect much about other programs as most of their Economy flights within Europe are set in class than won’t allow you any credit in other program. Even with not so cheap fares, they organized for you not to get credit in other StarAlliance programs so they are no way to escape their strategy not to reward you except if you fly business and so on. Flying from France allow me to reach their 30 flights easily but don’t expect more. Unfortunetly all rewards programs in Europe are not winning tools, only american programs really rewards their custumers and offer real deals. Yes, it’s only the US-based airlines which offer really good deals on things like miles per $ spent on a credit card. I have flown Lufthansa economy in Europe and they definitely do award the miles to my Turkish Airlines account. Unfortunately I don’t fly enough to achieve status these days…usually a couple of flights a year to South Africa and maybe 10 within Europe. I don’t think Lufthansa have done their math right. For example knowing that I can never reach Gold, I only travel enough flights every two years to keep my silver, but all excess flights I fly with my local airline, because at least there I can get lounge access in most of the places I fly to with 60 flights a year. It is still a lot, but at least I can do it. For example I flew with Star Alliance only 30 segments this year, but will fly 60+ with other airlines outside alliance. If loyalty does not pay off why be loyal? I know of course, that gold status costs Lufthansa, but does it cost more than losing 60 segments from a customer? That is calculation that Lufthansa has to make. Indeed I agree fully with the view of the article. I still have my Miles and less account but I do not use it. As I fly frequently to Portugal and I was already a (now) Miles and Go member (TAP – Air Portugal) frequent flyer program I managed to qualify for Gold status (70000 miles) in a year – year starts at the month you subscribed – after ditching Lufthansa. I have now kept my Gold status for 4 consecutive years as it takes 50000 miles to maintain the status. Besides you get quite a lot of extra status miles if you actually fly with TAP once you qualify to Silver or Gold. A bonus, you can name your partner to Gold status as well!. If you fly to Portugal TAP is definitely a good deal, but in some booking classes in Miles and More affiliate airlines you get absolutely no miles. So, if you fly cheap tariffs, going for the number of legs as a qualifying method may be better. As a member of other frequent flyer programs (one for each Alliance!) Miles and more is definitely the worst I know of! yes, also in my opinion Lufthansa is definitely one of the most frustrating airlines for its frequent flyers. Not to mention for silver status members, Even for a Senator/gold client for a few years like me: Free Upgrades? almost impossible, never, even when they have a delay and you miss an intercontinental connecting flight due to their delay. Upgrades with miles? if you are lucky, you have 1% probability for them to take 50000 miles (!) for an upgrade from Premium Economy to Business in intercontinental flights.. waiting list until the last day. and you can upgrade only if you booked on a very expensive fare! Credit Cards? ridiculous amount of miles per euro compared to all other airlines and no advantages whatsoever. you have to pay 100€ for the credit card instead! Did you re-qualify before expiration of your current gold card? Your card will be renewed only after 2 years and you will not get any new e-vouchers in the meantime. Not to mention the award miles you get per flight: only on ridiculous rates flights you get decent miles. all the rest of the fares give you ridiculously small amounts of miles. Overall, for the same amount of miles you fly, and money you spend, various american airlines or other airlines value you much more, treating you much better. Lufthansa is defintely not commercial oriented like others. the thing is that Lufthansa has basically the monopoly in a certain area of the world and moving to other airlines is too complicated if you use certain ariports as a base. they have too many clients and don’t need to treat anyone… as simple as it. Yep, completely agree! Lufthansa’s in-flight service is pretty good but their loyalty scheme is dreadful. And you’re stuck with them on many routes due to no competition. UGH! I’m so over their program. We were Senator status for several years with Lufth ansa. We lived as Expats in Africa and flew business class regularly. We were given vouchers to upgrade to first class, but never held the right business class to upgrade…so those vouchers were trashed. (Our company always booked our airfare) Eventually we lost our Senator status and now are just frequent flyers with around 190,000 miles each. I tried to upgrade 4 economy tickets from US to EU to business class. Nope, can’t do it. We don’t have the right letter of economy ticket to upgrade. In order for me to upgrade, I need to pay an additional $900 per person to buy the economy ticket that is upgrade able. That is nuts. Today I tried to book an awards flight in the US. Nope, no available seats. I’m so over their program. I can’t wait to burn through those miles and be done with them. But let me tell you….when we were Senator status and almost HON status….they loved us. After that….forget it. Worthless program.